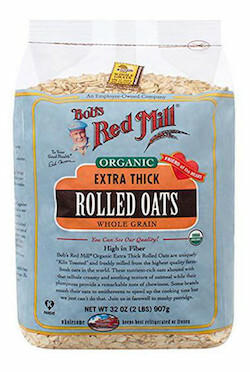 Organic Thick Rolled Oats nice and extra thick!) are uniquely "kiln toasted" and freshly milled from the highest quality oats. These extra chewy oats produce distinctly robust, European-style cereals and yeast breads. A bowl of this hearty oatmeal in the morning is sure to satisfy your hunger!